As noted in previous posts, Fuqua Developments wishes to convert the Scott Blvd. Baptist Church property (2532 N Decatur Rd.) into a mixed use development. As proposed, the development raises questions about its effect on traffic at the Church St./Scott Bldvd./North Decatur Road intersection and impact on the quality of life and property values for Blackmon Drive residents. 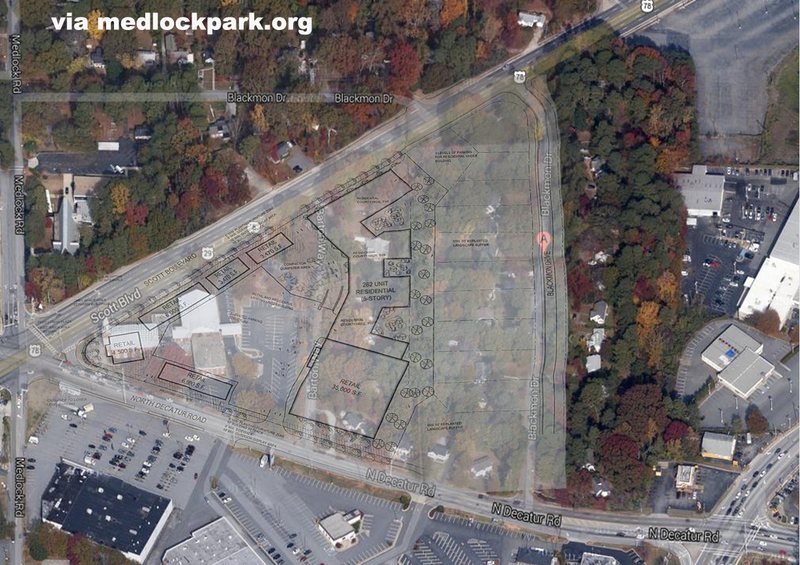 Fuqua filed its preliminary plan for the development in mid-July. 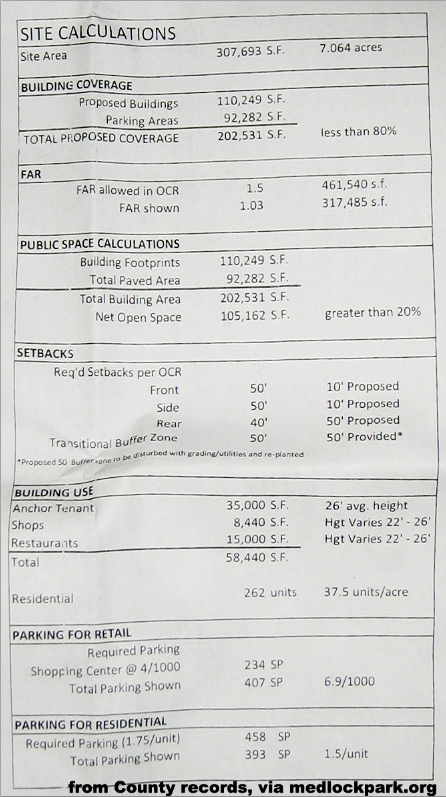 In contrast to previous discussions, this plan shows 260 residential units (vs. ~200 mentioned at a community meeting). 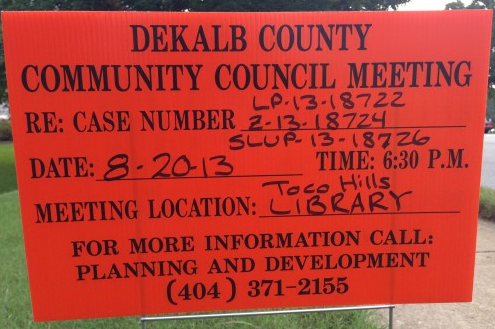 ⇠ DecaturMetro has shared an image of the public notice that is now posted at the site. The Community Council meeting is the first step of the review process, as outlined in this 2011 DeKalb County document: Rezoning, Land Use Amendment, Special Land Use Permit, and Major Modification Process. Generally speaking, the plan can change many times during the process. If a plan appears likely to be denied, the developer may opt to withdraw the application (because a rejected proposal means the site will be locked out of further consideration for a year). 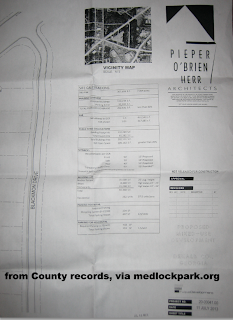 Overlay of Fuqua plan (per County records, see below) on Scott Blvd. Baptist Church and nearby residences. Fuqua map matched to Google map as closely as possible, per main roadways. As noted elsewhere, Fuqua has the Scott Boulevard property and homes on Barton Way under contract, contingent on the approval of their proposal. Under this plan, Barton Way disappears. Per County records, the site is being designed by Pieper O'Brien Herr, whose website shows examples of mixed development projects. Photos of Fuqua's site plan, as submitted to the County, appear below. dated July 11, 2013. Click to enlarge. 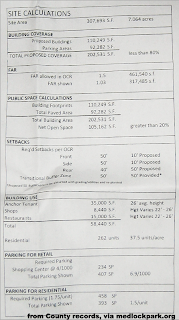 Site Calculations: click to enlarge. For an larger version of this file, click here. 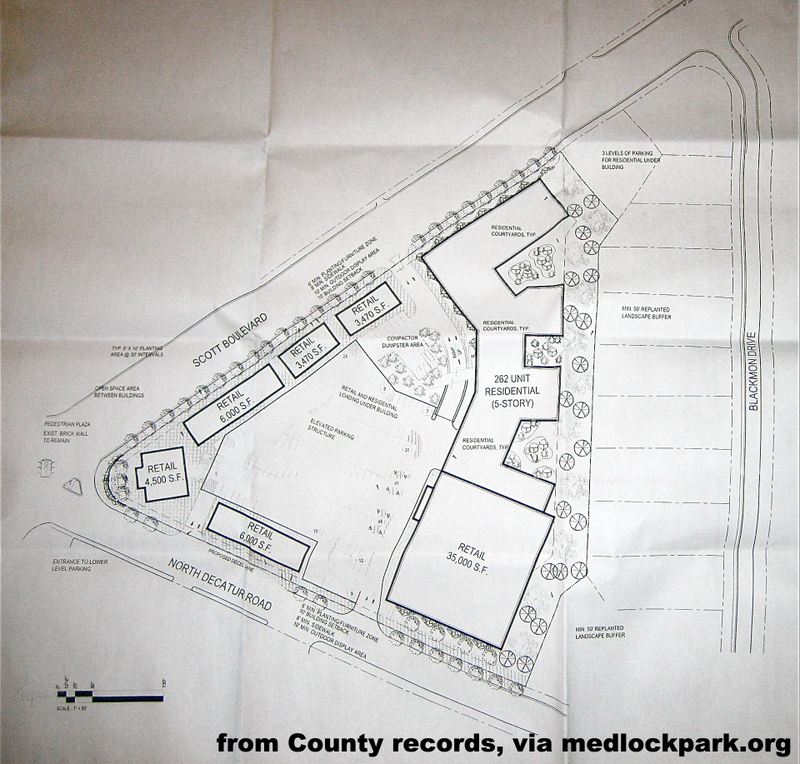 Site plan: click to enlarge. For larger version of this file, click here.